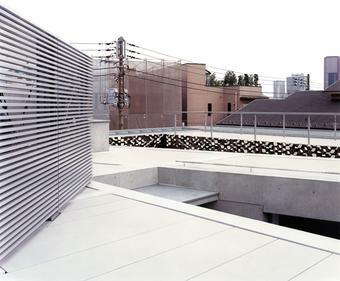 The tiles for the Yu-un House in Tokyo, Japan, are based on the end section of the quasi brick and used as a hexagonal wall tiling for the inner courtyard. 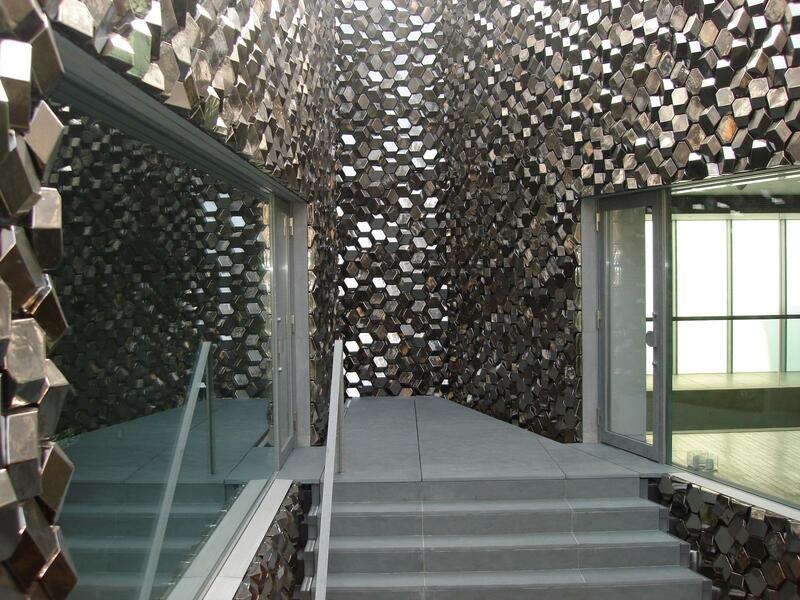 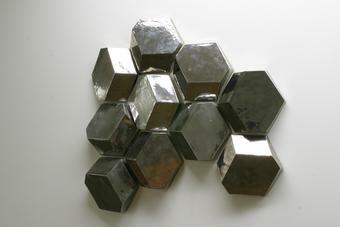 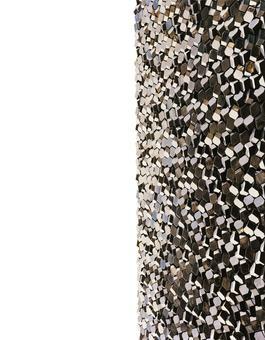 A ceramic platinum glaze covers the surfaces of the handmade tiles, which number more than 7,000. 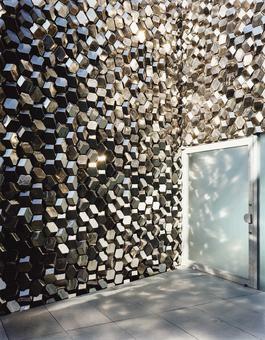 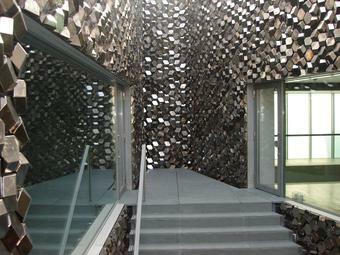 By reflecting the daylight and the colour of the sky, the tiles bring the outside environment into the building.